A Change of Thinking on the Douma Chemical Massacre? The last week or so saw a rather interesting turn of events in the information war, and it's taken me this long even to make this space for the issue, comments from the brilliant Andrew and others, and maybe better thoughts from me. "Notable how journalists who for years were at the forefront of pushing #Syria rebel narratives and smearing those who had the courage to question them, are now belatedly coming clean eg re #Douma, fearing perhaps the truth will soon emerge and leave their reputations in tatters"
Is this Dr. Hanan maybe related to the star witness with the stupid survival story, Naser Hanan? This all sounds intriguingly plausible, for a change, and merits more explanation - from Mr. Dalati, when and how that's possible. I sense he has a serious motivation to finish that work. The criticism this time left him going non-public with all his tweets, amid concerns he's wrecked or risks his career to try and raise these points. Some call for the BBC to "sever ties with this troll" (crypto-Islamist Idrees Ahmad. As for Ahmad's claim of a BBC distancing - they say it's his personal opinion, but defend it by pointing out he's not denying the attack (per a BBC spokesperson's comments to Sputnik News), and they may come around to embrace his limited revelations in the end. "The BBC’s Dalati made the statements in response to a lengthy investigative report by James Harkin writing for The Intercept. Harkin had examined the scenes and physical environs of the alleged Douma attack and interviewed eyewitnesses on site. His report paints a complex picture of propaganda and deeply compromised rebel sources such as Saudi-backed Jaish al Islam, which had control of Douma amidst a Syrian government onslaught to retake the town." Higgins-Postol debate last year, the winner of which I declared to be confusion. I don't blame Harkin for that - directly anyway. His sprawling article at The Intercept, published on 9 February, raises some interesting points I didn't even know, but also manages to achieve confusion, and little in the way of a clear overall narrative that makes sense. I will need to review it more closely sometime, but - for example - he decided the famous and disputed hospital scene was the result of natural confusion and panic. 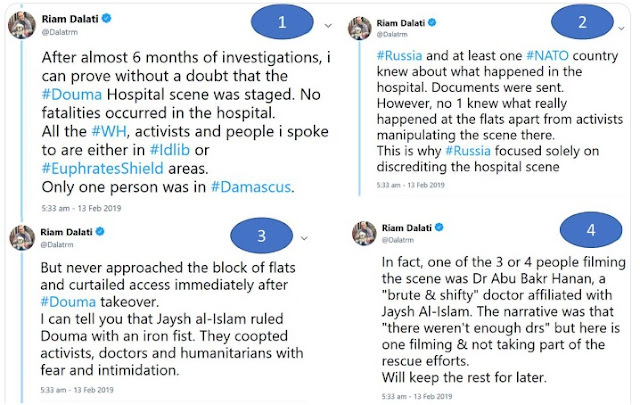 But it was a staged faux-crisis, as described by the boy Hassan Diab and several medics seen in the videos, as could be seen by intelligent observers, and as Dalati has now claimed proof for. Again, I still haven't reviewed Harkin's piece in detail, but one thing that struck me in a quick read was the odd inversion where the good points come from an OPCW investigator (unnamed), and some of the worst from revisionist hero Ted Postol, whose reasoning I was already questioning (see debate review link above). He's sure the regime dropped that chlorine tank from on high, it made a hole because the roof was weak (and stayed outside the hole why? ), it filled the room with 'fatal concentration' of chlorine in a couple of minutes (but was still frosted/releasing after 10pm), and people died because of the building layout and stuff (it made them drop dead from just chlorine? weird house...) - it was sort of a fluke, he thinks, probably not basis for airstrikes, but neither can the opposition be held to account for much in the line of fakery or murder. But this comes nowhere near explaining any of the evidence, as the OPCW investigator notes in a some spots. On the other side, the Germany-based Global Public Policy Institute releases a report on "the logic of chemical weapons use in Syria." This compiles 300+ reported chemical attacks, including and ending with the most recent one; 07/04/2018 - Douma - Chlorine - Assad regime. It has a verification level of 3 - extra clear in its documentation and well-placed to draw logic lessons from. Stupid stuff. A quick review shows they have these 300+ CW attacks listed, 98% by "Assad regime," 2% by ISIS/Daesh, ZERO by anyone else. 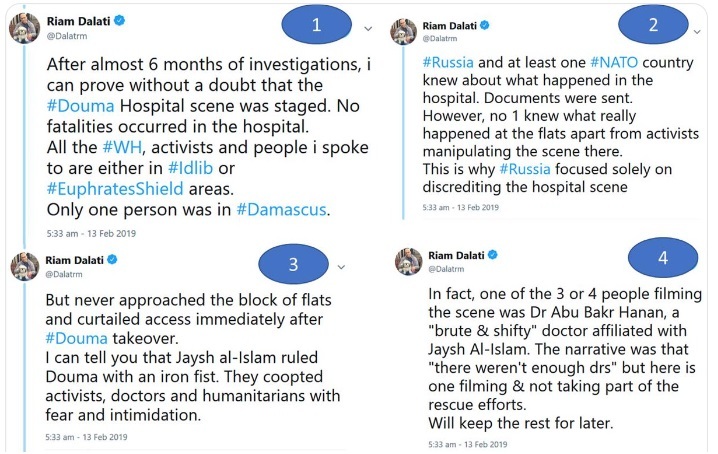 The Jaish Al-Islam attack on Sheik Maqsoud in April 2016 (sort-of admitted), is listed as Assad regime, who weren't in on the Islamist assault, using chlorine (wrong properties, wrong symptoms and death toll). 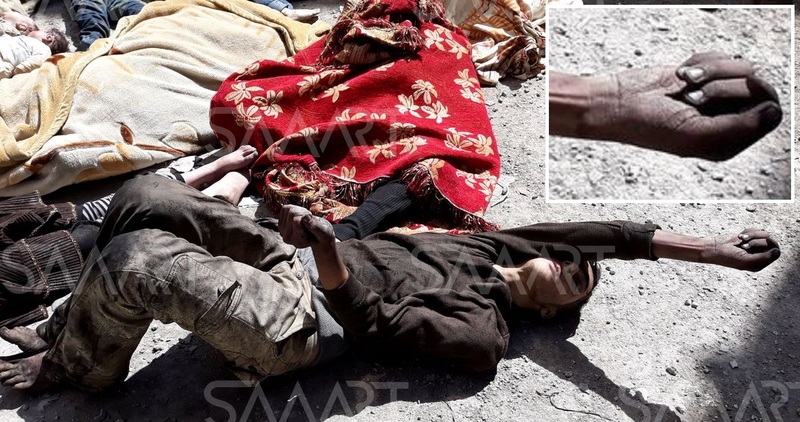 Khan al-Assal in March, 2013, is noted as sarin, but said to be launched by the regime, killing their own soldiers and protected Shia civilians. This had Assad demanding an OPCW probe, finally getting inspectors there on 19 August - just in time to distract them with the 21 August sarin attack next door that killed a supposed 1,000+ civilians. A string of chemical attacks on Syrian soldiers in the same area and following days is poorly treated here: Bahariya on the 22nd was by the regime itself, they feel. No sarin was verified, so it's "unknown." Soldiers were attacked nearby on 24-8 from the approximate firing spot for the missiles of 21-8. OPCW later verified sarin. The GPPI list somehow missed this event, doesn't pin blame. Soldiers were hit again in Daraya on 25-8, again verified as sarin by OPCW, but the GPPI list somehow missed this event, doesn't pin blame. But 15/02/2015 in Darayya, the GPPI notes an attack, that was on SAA soldiers (none of whom died - see here). They admit it was sarin used, as the OPCW verified - and that's also part of the 98% by "Assad regime." It goes on like that. Countless details crucial to determining the case logic - that will build up the campaign logic - are glossed over. Consider Sept. 24, 2014 in Adra, East Ghouta - no explanation for the logic of Assad's chlorine poking holes in the left sides of the chests on at least 3-4 men described as "prisoners" (forced labor workers? ), among a reported 7 men from different places who died there. We see one who's old, one who's ill, one with a hand and leg injuries, all left behind as the ruling Islamists here packed up their valuable and fled the area under government assault the following day. More valuable (workers?) probably were brought along, but not these ones. None are claimed as prisoners this time, but this man has wrist marks suggesting he spent some time shackled. I think that was previous, since healed, and he then spent some time with no shackles, along with these others who don't have such marks that I noticed. (the arm posture here looks perhaps recently cuffed, frozen that way, but is likely just from post-mortem body position and/or movement). SMART News photo, mid-day 8 April, located just recently by Qoppa999, showing victim #20 or M2 an numbered here, seen in situ with woman and baby - he's one of those with a clear 'mask of death' pattern. He's mask 4, like most with a washed-off face, but note in one view the underside of his nose still appears smoke-stained. Some but not all of the seen victims were kept somewhere with a lot of smoke and soot, I think. From his fingers, I'd say this man was there for some time, doing things in the ashes with no washing available. But that's all got nothing to do with the logic of Assad's chlorine killing him in his own home, right? * Bellingcat/Higgins were barely even cited... Eliot verified Harkin's video as the same place, and that's it, aside from their noted role in shaping the early understanding by which US missiles were fired. Considering these 2 mainstream people in journalism but sort of above it (producer, center director), turn to fresh skepticism with an oddly sudden onset in a few days, it's reasonable to wonder if they're assisting in some planned change of thinking. Considering the many problems with this case, it's possible some parts of that proved unsustainable under scrutiny. The way the OPCW's final report still refused to appear, going on a year after the event. already suggested a problem like this. Damage control would be called for to keep the full truth from emerging. Consciously or not, exercises like those of Harkin and Dalati may serve a purpose in the larger script. For example, they could conceal a managed massacres of hostages, which holes in the evidence point towards, by connecting some of those holes to other, more innocent explanations. Both still suggest the government did launch chemicals and that is what killed the people, and that seems to be the central flaw in even these "off-script" analyses. - For once, government control over Douma makes reporting from there relatively safe and feasible. People can go, ask around, gather information they could have learned with other attacks, except it was never safe to do so. Same applies to media and OPCW, who were able to do their own site inspection for once, and find none of the necessary sarin, etc.. It could be deduced from this limited example that access reveals opposition lies, or at least the seams of them. - The open questions largely forced by Russian-backed infowar counter-measures that continue to resonate with the global public, the exceptionally large stakes of the incident, and no high-profile CW incidents since then to distract us, allows for more clarity than usual. Perhaps that chance was simply taken? Anyway, guesses aside, it means what it does, and no one can be sure what that is, as events move on and I have finally finished this post. I've been following the "Assad Files" and the Commission for International Justice and Accountability (CIJA) imperfectly - I've put it wrongly as "Committee for …" in general, for one thing. Oops. I was so focused on how little evidence it seems they actually found, and how much spin they have to engage in to make it seem like they found a lot. Brushing up now, I see I had also missed the CIJA's role last year in the court case over the death of Marie Colvin, the tough, eye-patched American war correspondent with the New York Times. She was famously killed by shelling after sneaking into terrorist-occupied Baba Amr, Homs, in February, 2012, as the government was trying to reclaim it. What could have been an accident - or even a terrorist false-flag operation - was widely suspected of being a deliberate assassination by the government. Colvin's family has been making that case in court, seeking accountability from top government officials they feel must have ordered the hit. That's a very basic intro, and I still haven't analyzed this case in much detail. But it came up in my digging that the CIJA's trove of top-secret files was used as evidence in her case - nearly 200 files' worth of them. The filings, nearly 200 in total, are part of a far larger cache of some 700,000 records that have been smuggled out of Syria by defectors, activists and others and meticulously collected by the Commission for International Justice and Accountability, which wants to build war-crimes cases against the Syrian government. The Smoking Gun Evidence: From "Ulysses" - Not From the "Assad Files"
That supposed policy might reflect on her case, but there's no mention of anything in those nearly 200 pages actually showing the suspected order to target Colvin herself. That's not to say there wasn't one, since the CIJA didn't necessarily get every order generated. But they find some targeting orders (see below), maybe others, maybe most or even all of them ... but not this one. "Lawyers are also citing several sworn witness accounts," Barnard notes. In fact the key evidence, as before the paper chase, comes from the ramblings of a few Islamist chatterboxes full of stories of regime evil. This doesn't seem to be unusual; every criminal act blamed on the regime lacks documented order that can be found. Luckily, the CIJA also has several defectors on file (perhaps the same ones presented in court?) to help fill in the very large blank spots left by the touted paperwork. "Ulysses, who remains in exile, told the lawyers that the military had ordered an attack on Ms. Colvin and her colleagues as part of a broader effort — directed from the top and laid out in the documents — to track, arrest and target demonstrators, coordinators and “those who tarnish the image of Syria” by talking to journalists and other foreigners." * "Syria’s powerful intelligence chief, Ali Mamlouk, received information from “friendly Lebanese officials” that foreign journalists were crossing the Syrian border to reach Homs and instructed the commander of the military-security committee in the central Syrian city to “capture the journalists” and “take all necessary measures.” Ulysses said that phrase customarily “authorized killing if needed.”"
* "Syrian activists brought in Ms. Colvin and a British journalist, Paul Conroy, through a mile-long, four-foot-wide water pipe. Soon after, Ulysses said, an informant told intelligence officials that the journalists were at the activists’ media center and described its rough location." * "Ms. Colvin issued a live report from the media center ... That, Ulysses said, allowed the government to use surveillance equipment to pinpoint the location, matching the informant’s report. He recalled the deputy head of the Computer and Signals Section of Branch 261 of the military intelligence department in Homs saying, “There was a broadcast tonight from the same location.” Then the official added: “The boss is very happy.”"
Then the following day, we're to gather, the regime figured they'd still be there and attacked. As survivor Paul Conroy described, there was shelling at a distance on one side of the media center and then the other, then again but closer and closer until they hit the center - as if to clarify it was no accident. I tend to believe that, and I don't suspect it was an accident. But it's irresponsible to ignore that the terrorists hosting them might have done it. Why not? Because they hadn't pinpointed their location in so many ways? Now if the CIJA had their 750,000 or so pages of top-secret files, workers and software to comb through it, for several years now ... and they found some 200 pages with relevant information, mostly I guess to show who was the boss of what, but nothing directly related to the Colvin killing … it seems like no documents reflect the plot. One entirely plausible explanation is that, despite what this "Ulysses" says, there was no such order. Someone else targeted and killed Marie Colvin. At least and perhaps just one document, of the nearly 200 from the CIJA that was submitted, suggests deadly targeting of journalists. Barnard describes the relentless shelling of "Baba Amr, a neighborhood in Homs where opposition activists had set up a media center to communicate with journalists." It's also where terrorists were abducting people, faking shelling videos, doing much unknown … but it's a place with a media center, and later Marie Colvin at that center, and it was shelled, so … this supports targeting of media. "One document shows how military and security forces intercepted communications between journalists and the activists" in Baba Amr, "in early 2012" (same place and close in time to the Colvin case, for what it's worth). "Intelligence officers passed on information about a journalist for Al Jazeera to a military special forces unit with the instruction, “Take the necessary measures." As noted above, "Ulysses" says this basic phrase “authorized killing if needed.” But from the paperwork itself, without that bit of 'codebreaking' - it's not clear what those measures were - arrest, murder, arrest and torture to death, rescue from terrorist kidnappers, or other. The text likely did clarify but it didn't include kill, so the CIJA redacted the explanation, left the ambiguous quote, and presented that. If mood music could be attached, they would probably choose a few ominous notes by a string section here. Also it must be noted some Al-Jazeera "journalists" are clearly in the same team and on message with allies holding guns, and sometimes hostages. Some of these terrorists get a camera, maybe "media training," and then get hired to provide propaganda videos Al-Jazeera and others run as news. He may have been targeted (for arrest, probably) not over his reporting, of facts or lies, but over his violent or criminal activities, or just for questioning, to find out where the bases and hostages are, perhaps. Still, it seems no such orders relating to Ms. Colvin and her associates was located. They're limited to showing how there's at least one possible precedent - depending on those unclear details. But they had more color to share. "Ulysses" cites a clear pattern, which he includes Colvin in, by which the regime would, as Barnard put it, "track, arrest and target demonstrators, coordinators and “those who tarnish the image of Syria” by talking to journalists and other foreigners." That 'tarnish" quote suggests he's referring to the CIJA's files on the August, 2011 creation of a Central Crisis Management Cell in Damascus. I've covered this previously in what could be called my linchpin article so far, run proudly at 21st Century Wire. The files describing this body became the "linchpin" of the CIJA case against Syrian officials, explaining who was in charge of what, allowing for a list of names. It was said the plan was to round up protesters for nothing more, and to do so in an organized way. The "crisis" was just one of free speech, and all the soldiers and policemen getting killed by foreign-backed militants (including in Hama just a few days before the CCMC's first meeting) was not even an issue. These are the wanted people, in the CCMC's outlined plans. The orders are to "arrest them." Then, the document continues, some among those militants also "tarnish/harm the image of Syria" by speaking to the foreign media. The orders are to arrest them, especially. It's not mentioned here, but the government position (supported by much evidence) is these people speak to the media falsely, denying any militancy on their own side to help blame their own crimes on the government. That's not free speech, but part of a criminal operation. That's the government view; militants who also spread lies in the media were wanted as the especially dangerous class they are. Folks who organize protests were also mentioned as targets. Indeed, "demonstrations/events" and related words appear in the apparently real orders we can finally see, but their meaning here seems a bit different than usual. These "demonstrations" are organized by militants, and involved funding and "armaments," the sources of which Damascus wanted to know. Further, any militants involved in these activities via the Local Coordinating Committees was especially wanted for arrest and questioning. It seems "Ulysses" still finds the fake version of this policy and that 'tarnish' quote central to showing how the regime went around killing journalists. But in reality, that's attached to the anti-militant policy described above. How does a well-informed insider miss such details? I propose he does it on purpose, to further the information Jihad. As Barnard explains, the CIJA documents filed for the Colvin case "appear to reveal the workings of the Central Crisis Management Cell, a committee reporting to Mr. Assad that was created to counter the uprisings that broke out across Syria in 2011." This, minus its crucial militant context, is central to the false picture painted in court, as it has been in the court of public opinion previously. The skewed view of "Ulysses" was borne out here, not by other documents, but by two more defectors Barnard spoke with, and who were called on in the Colvin case. The original smuggler of the CCMC documents, Abdelmajid Barakat "said he heard discussions of plans to fabricate evidence of rebels attacking civilians." There's been no mention of any documents relating to such plans. Could this be idle talk, or invented talk? Yes, the latter in particular. But it was taken as real talk, and a real plan that was acted on. The same guy says he "saw documents that identified Syrians providing information to journalists as a top national security threat demanding a lethal response." But he only provided documents like the ones discussed above, with no mention of that on paper yet. The ones we can see only say "arrest them." If they were to shoot back during the attempt, they may get a lethal response, but that's a bit past speaking to journalists, right? Others have found these orders central, apparently failing to find anything juicier ... like the files Barakat could only recall seeing. False recall perhaps? I highly doubt this is how the conversation truly went. According to Barnard's article, Malek is sure a 5-year-old boy was really killed by a regime sniper, and felt the Arab League mission was compromised for rejecting that claim, so he quit. He says he got death threat phone calls, "and his convoy to Damascus was shot at. 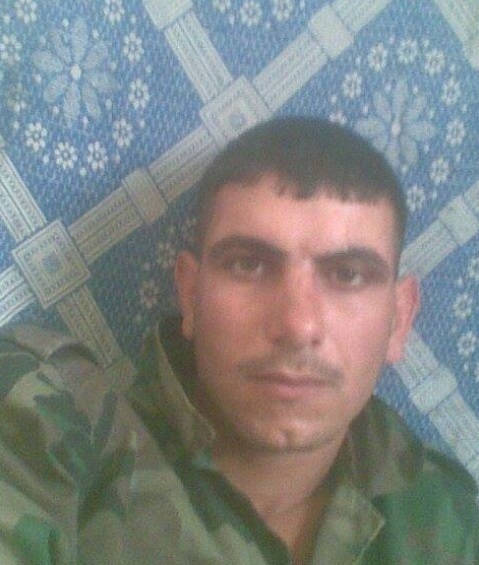 The government blamed rebels, but Mr. Malek believed the attack was staged by the government." Sure he believes that. I mean, it only makes sense … to certain people. He's quick to believe every Islamist claim. He's characteristic of every selected source run by the corporate-controlled media-government system to explain the "truth" about Syria. It's supposed to be a big deal that he agrees with the others in his general tone. And still, he didn't apparently have any specific information on the Marie Colvin case. Nor did Mr. Barakat, nor the "Assad Files." Just "Ulysses" did. So there's the evidence against the regime in the Colvin case, from this best effort to make it seem convincing. It's not very convincing. Mr. Malek especially was there to provide the color, or mood music, to help conjure belief in a crime for which there seems to be no reliable evidence. The "Assad Files" were there to make it seem like top-secret papers agree with these handy omniscient defectors, all reflecting a real government policy. But the documents, which seem to reflect reality, call these liars out. They don't work well on the same team. Which part should be demoted? If "justice" over all these alleged crimes is your interest, clearly it's the reality-reflecting "Assad Files" you'll want to lose. And they already do, for the most part. They skip over hundreds of thousands of pages entirely, to focus on a select few, used simply as pools from which to extract spooky-sounding quotes, and the names of people they want to see in jail, ignoring or deleting all the context they need to achieve that.